LASER 3284 will be competing at the Missouri State Championship at Lindenwood University, on May 18th. LASER will compete against teams from across Missouri. During May 15th-17th, a LASER FLL® team will be attending the FLL® International Invitational Tournament at Lego-land in California, where they will compete against FLL® teams from around the world. ​LASER 3284 will be hosting the FLL Jr.® Expo on April 13th, from 9 to 1 at Osage Beach Elementary. The day will consist of the FLL Jr.® teams presenting their ideas and presentations to judges, and having their poster boards on display for all to see. Teams from all over central Missouri will be there, so come out and support your local team! ​On April 4th through the 7th, LASER will be competing in their last regional of the season against 36 teams from seven states and two countries. 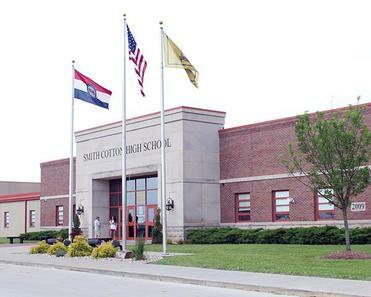 The regional will take place at Smith-Cotton High School in Sedalia, Missouri. This is the last and the closest regional to home, so come support LASER 3284! 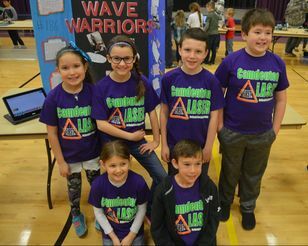 ​LASER traveled and competed at their second regional, the Greater Kansas City Regional on March 20th through the 23rd. LASER competed against 36 teams from 4 states. 3284 was ranked 4th and was picked by the 1st seated alliance. The alliance made it to finals where they put up a fantastic fight against the 2nd seated alliance. Along with being finalists, LASER also won the safety award and the Excellence in Engineering Award. One of LASER's coach, Sherry Comer, was granted the Woodie Flower's award due to her hard work and dedication to FIRST®. ​On March 13th-16th, LASER competed with 36 teams from seven states and three countries at the Heartland Regional. 3284 was ranked 27th out of 36 teams, and was picked by the 7th alliance captain and fought hard in quarter finals. LASER was honored to win the most prestigious award in FIRST®, The Chairman's Award, along with 1st runner up Safety Award. LASER member Maya Irvine was also awarded the Dean's List Finalist award. Thank you to all who supported LASER! For the first time, all three of LASER's FTC teams will be competing at the Missouri State Championship. The event will be held at Missouri University of Science of Technology in the Gale Bullman Building on Saturday March 9th. Come support all of our LASER FTC teams at State! LASER traveled to the Missouri State Capital on March 7th for STEM day. 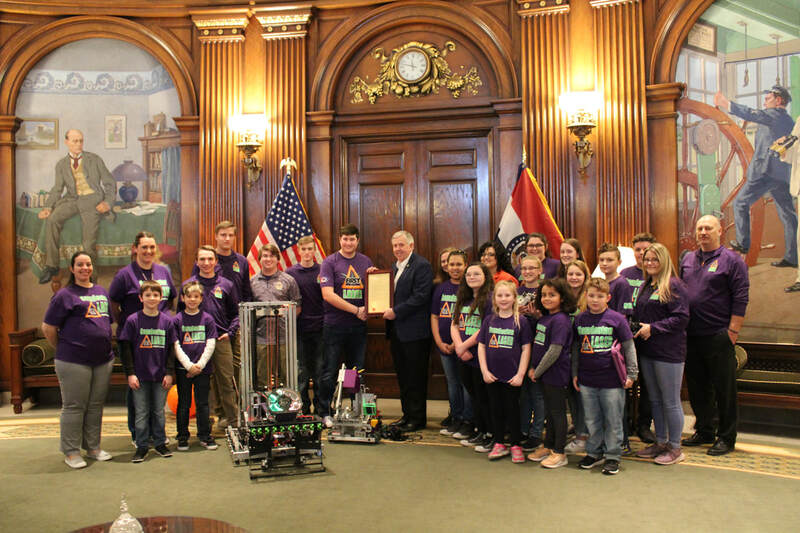 Along with LASER demonstrating all four progressions of FIRST​® to the public, LASER also held an FLL​® scrimmage tournament, talked to the Missouri Governor and Missouri Representative Suzie Pollock about LASER and FIRST​® Robotics. LASER was excited about the new game Destination: Deep Space! They spent the day brainstorming and holding their 10 year anniversary party with some of their alumni in attendance. LASER is ready to Lift Off for this years game, with Destination: Deep Space!